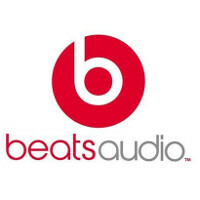 Apple is in negotiations to buy Beats Audio for $3.2 billion, according to rumors circulating on Thursday afternoon. The deal could be announced as soon as next week. If announced, it would be the largest acquisition ever by Apple. The maker of premium headphones recently started a streaming music service that competes with Apple's own iTunes Radio. HTC had originally purchased 50.1% of Beats in 2011 for $300 million and started offering phones with special Beats Audio software and branded earphones. Eventually, HTC stopped offering the earphones due to cost. In two transactions in 2012 and last year, the Taiwan manufacturer divested its holdings in the company. Beats was founded by music producer Jimmy Iovine, and rapper Dr. Dre. Including a $500 million investment from the Carlyle Group, Beats Audio recently had a value of $1 billion, which means that Apple is either about to overpay big time for the company, or Beats Audio has tripled in value over the last few months. Now we know why Beats took back all the beats stuff from HTC and bought back 265 million dollars off of HTC recently. They knew they were going to sell to Apple. How good would it be if the competition was also using beats on their phones. I should have said beats bought back all the shares that HTC bought from beats originally. Which was only a few months ago. I think they beats was in talks with Apple at that time and knew that they were going to strike a deal. I Agree!!! I will sell my Mixrs and Pro head phones both!!! no!!! Why not? Both are overhyped and overpriced POS. HTC actually invested 300 million and made 415 million in return. I don't like Beats personally but I think it's a great deal for Apple. It's like the rich gets richer with this type of deal. Dr Dre may finaly pass JayZ and P.daddy's net worth with this..
very very sad and he will be broke. 300$ could help pay bills and lots of other stuff. That's the problem; their going to take your money. Typical Apple, why compete when we can just buy the competition. Ouch….. Ninety, take it easy! Don't smack this ignorant fool around that hard lol. He'll call his anti-Apple crowd on you. Matter-a-fact, I think he already did. Difference: Google typically buys for technologies. Apple is buying a brand. Beats headphones are not particularly good from an audio standpoint. They have a big name and solid industrial design. Incidentally, Apple has both of those things on their own. Apple could crush Beats if they really wanted to do so. Oh and google bought NEST for the technologies? They could also crush them if they wanted. Dude you should all relax and stop crying over every apple related news. All big tech companies buy smaller ones, For their own reasons. And you and me have no idea what exact those reasons are and probably never will. NEST did not compete with Google. Well over 90% of tech buyouts is to give the smaller company an exit strategy so the giant VC/investment bank machine keeps running. This is likely the case with Apple/Beats as well. Call me when they have three semiconductor firms in the fold designing the best mobile processor on the planet. coughcoughMotorolacoughcough... sorry..got something stuck in my throat.. Funny you mentioned Waze, I think you should look it up again. Waze was competition.